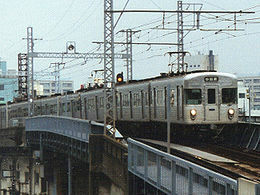 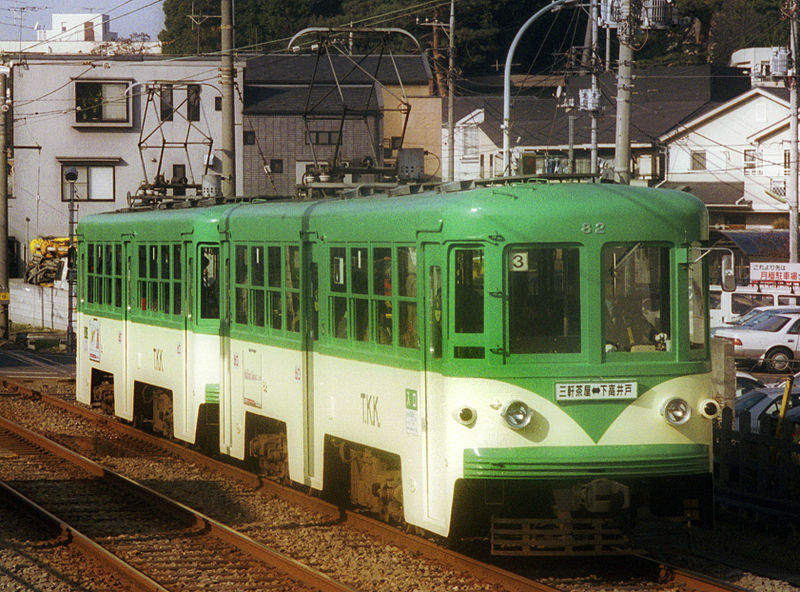 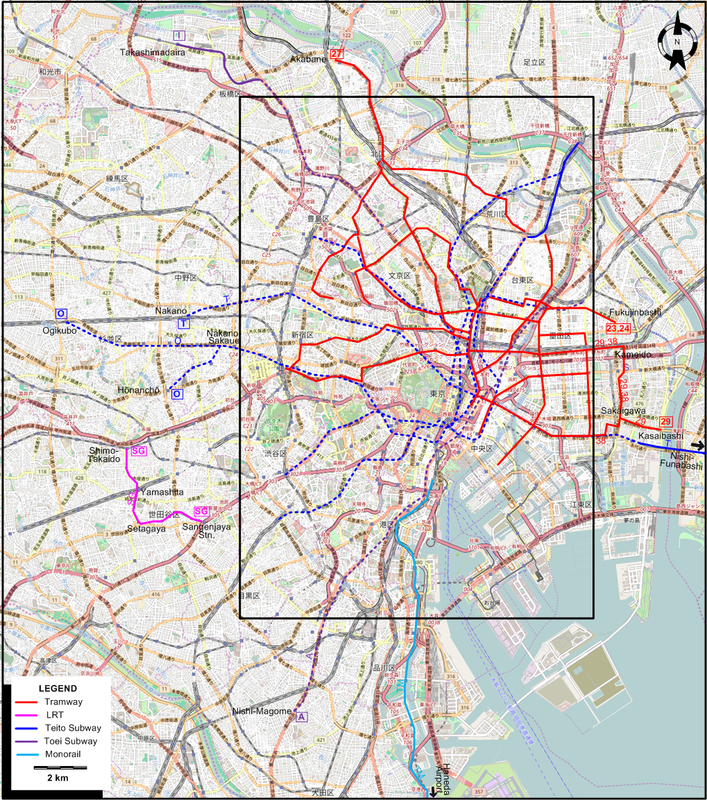 The Tokyo rail transport system after the elimination of a significant part of the city's tram network, especially in the southern half of the city. 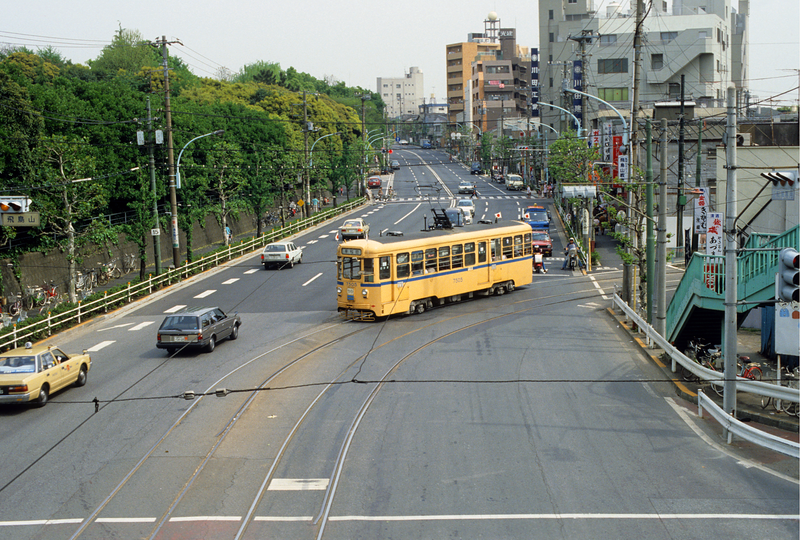 No more trams at all in Shibuya, Roppongi, Hibiya, Mita, Shinagawa, Shinbashi or at Tokyo Station. 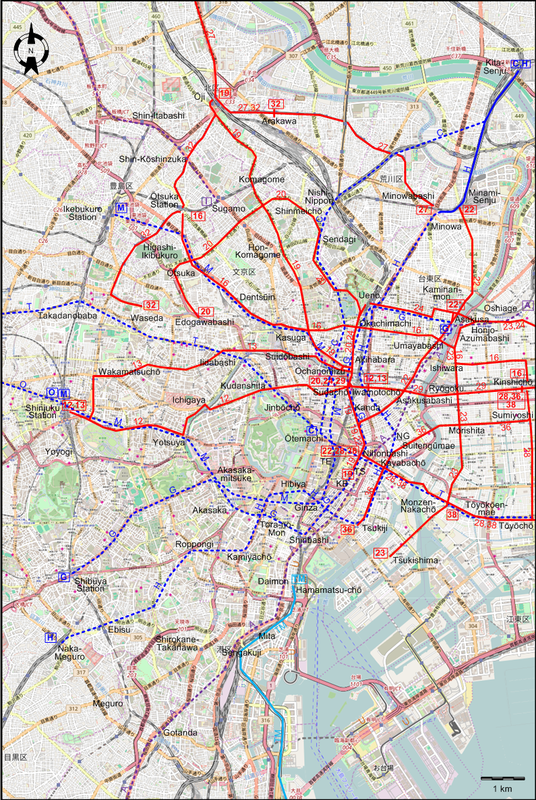 On the other hand, there are many more subway lines than before.